Price: $1.99 (as of 02/28/2017 at 8:00 PM ET). See all nine mysteries in the popular Trash 'n' Treasures Series for $4.99 or less each on Kindle. 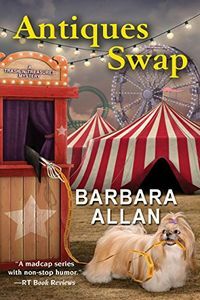 It happened at Serenity's swap meet, right after Brandy Borne and her ever-more-eccentric mother Vivian finished shooting the pilot for their very own TV show, Antiques Sleuths. Brandy just, well, lost her balance and fell … into the helpful arms of an old flame, local tycoon Wesley Sinclair III. But did Brandy's innocent slip lead to the murder of Wesley's wife, Vanessa? Sure, Vanessa was furious that she caught Brandy in Wesley's embrace. And she did storm off threatening dire consequences for her humbled husband. So when Vanessa turns up very dead, the local tongue-wag is that Wesley may have permanently dethroned the queen of his castle. 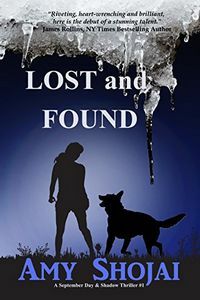 But Brandy — along with her notoriously nosy mother and their sleuthing shih tzu Sushi — is determined to dig for the whole truth. Each new clue points in a different direction. What about this suspicious Club of Eight, a super-secret high-society bridge group that supposedly has very liberal rules about "partners"? 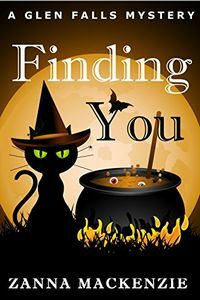 When a key witness joins the dead list, Brandy and Vivian know they've got to crack this case before the remorseless killer puts an end to their antiquing days — forever! Price: 99¢ (as of 02/28/2017 at 7:00 PM ET). See all three mysteries in the Birds of a Feather Series for $4.99 or less each on Kindle. Manager of a tourist center in a quaint British village, Julia Lanchester finds herself with more ideas than time. Her boss is the Earl Fotheringill himself, but apart from him, she doesn't mix well with the aristocracy. Unfortunately, toxic mold forces her from her cottage and into one of the earl's countless spare rooms at the Hall. 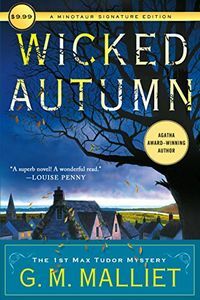 She tries to get a handle on her overload of work, while she finds herself arguing with dinner guests, chaffing at the sudden interest the earl's son has in running the estate, and missing her new beau, Michael Sedgwick. 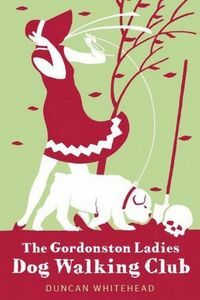 Her life goes from bad to sinister when Julia discovers poisoned sparrowhawks on the expansive estate grounds. 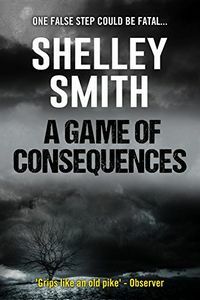 And soon after, she finds one of the Hall's visitors murdered — felled by the same poison. While simultaneously both spooked and angry, she still can't keep herself from snooping, and dragging Michael along into her investigation. But will she find the culprit before her own wings are clipped? 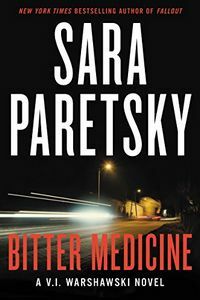 Omnimystery News is pleased to present a mystery, suspense, or thriller ebook that we recently found by sleuthing (as it were) through new or recently reissued titles from independent publishers during February 2017 and priced $5.99 or less. Visit our New Indie MystereBooks page for a complete list of titles featured today. eBook Price: $1.99 (as of 02/28/2017 at 6:30 PM ET). 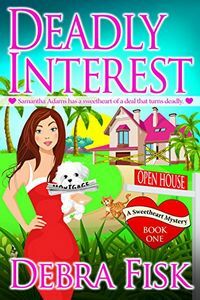 After life in the Big City kicks her behind, Samantha Adams returns to Sweetheart, a quaint small town in the center of Florida, where all the streets are named after candy and the welcome sign reads "Home of the Sweetest People You'll Ever Meet." 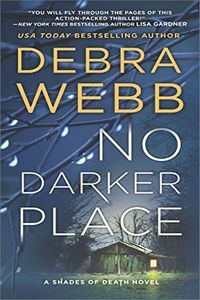 She pins her hopes on a new career selling real estate, only to have her first showing turn into a disaster when she discovers a dead body in the artfully staged home. 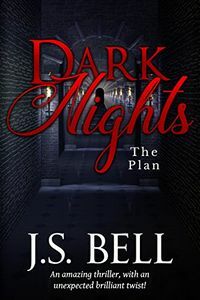 In the blink of an eye, her sweet hometown is harboring sinister secrets and a killer with a taste for revenge. Things really heat up when a second body is found. 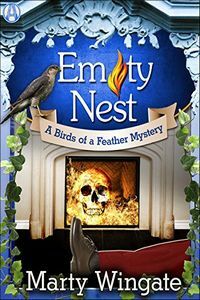 Samantha has her hands full dodging her old flame, police officer Hunter Arms, while trying to solve two murders with the help of her friends, Lydia Heavens and Jenn Maggiano. 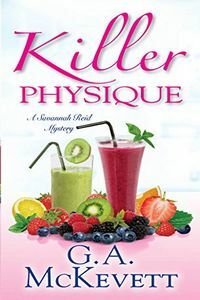 Can Samantha uncover the truth before the killer strikes again or will murder ruin Sweetheart's delicious reputation forever? Price: $2.99 (as of 02/28/2017 at 6:00 PM ET). 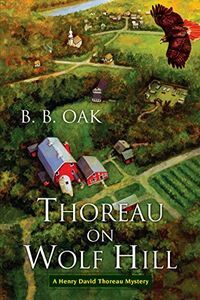 eBook Price: $2.99 (as of 02/28/2017 at 5:30 PM ET). When Jack Marconi's on again/off again ex-fiancee and Girl Friday, Val Antonelli, shows up unannounced at his gym, Marconi feels his broken heart lift. But what he doesn't know yet is that she's not here to rekindle their love for one another. She's there because she desperately needs his help. Her partner in her new retail clothing business has been brutally murdered, and Val has become the primary suspect. Price: $1.99 (as of 02/28/2017 at 5:00 PM ET). Sister Eve, a motorcycle-riding nun with a natural (or is it supernatural?) gift for solving murders returns to the enclave she once called home and quickly finds herself confronting yet another mysterious death. Someone has poisoned Dr. Kelly Middlesworth — a researcher on the life and ministry of 17th-century's revered "Blue Nun" — and a set of irreplaceable historic documents have disappeared before they could even be examined. 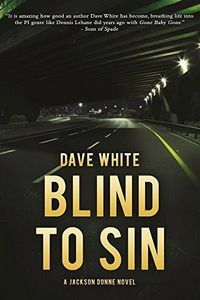 When all evidence seems to point to the victim's brother, Sister Eve sets out to expose the killer and learn the explosive truth those missing manuscripts might contain. 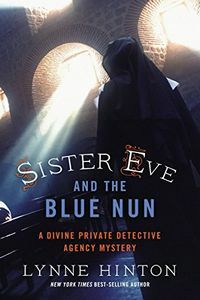 Chasing a killer is dangerous work, and as her two worlds collide, Sister Eve may need some heavenly help simply to survive. eBook Price: 99¢ (as of 02/28/2017 at 4:30 PM ET). 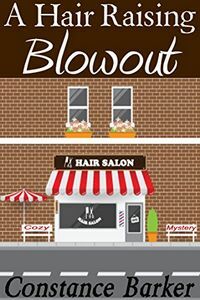 Beauty salon owner Blair Montgomery's world is turned upside down when she suddenly receives a do-or-die deadline from the supernatural Mafioso. They're demanding she hand over a powerful and magical object they're convinced she's inherited from her gran. Problem is, Blair has no idea what it even looks like! Price: $1.99 (as of 02/28/2017 at 4:00 PM ET). When Matt Herrick was 17, his father was arrested for robbery — a bank heist gone wrong. Herrick joined the Army and was sent off to Afghanistan — a trip that would change his life. Jackson Donne has spent the last year in prison, where his mentor, Kenneth Herrick, has kept him safe. One night, Kenneth tells Donne a "friend" has bought them out of their sentence. Confused, Donne goes along. And finds himself in the clutches of a partner from Kenneth's past. Learning of the release, Matt Herrick decides to pursue his father. But when he finds that his terminally ill mother is now married to Kenneth's old partner, Herrick turns his investigation into overdrive. And that could cost him everything. Kenneth's old partner gives him an ultimatum: steal millions of dollars from the Federal Reserve in New Jersey, or let the disease kill his ex-wife. Donne has no choice but to help his new mentor. Now Matt Herrick is faced with a choice: Can he let his dad and Donne save his mother, while letting the heist go off without a hitch? 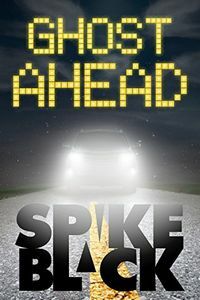 Or can Matt Herrick save his mother, and stop the the heist before everyone ends up in prison — or worse — dead? To see more new paperback titles scheduled to be published this month, visit The Mystery Bookshelf for February 2017. For new hardcover titles, visit New Mysteries where for a list of February 2017 mysteries, novels of suspense, and thrillers is provided. Price: $1.99 (as of 02/28/2017 at 3:00 PM ET). Private eye V.I. Warshawski knows her friend Consuelo's pregnancy is already risky — she's sixteen and diabetic. Despite V.I. 's efforts to provide Consuelo with proper care, both mother and daughter die in the local hospital. Suspecting malpractice, V.I. begins an investigation — and a reluctant romance with an ER doctor. 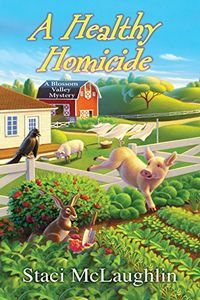 As the single mom of an energetic toddler and an investigator working for the medical examiner's office in small-town Sorenson, Wisconsin, Mattie is used to her life being a juggling act. But now that she's moved in with Detective Steve Hurley and his teenaged daughter Emily, and has started planning their wedding, her home life is looking more like a three-ring circus. And with her boss and friend, Izzy, suddenly having a health crisis, she could not be more grateful for the newest staff member in the ME's office, Hal Dawson. 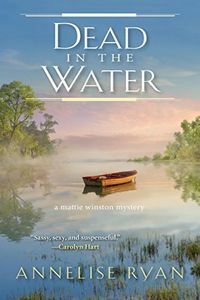 All too quickly her gratitude turns to shock when a floating body found trapped against a dam turns out to be Hal, but the cause of death isn't drowning — his throat's been slashed. Hal was supposed to be fishing on his day off with his girlfriend. And when their empty boat is found in a nearby lake, the whereabouts of the woman becomes an even more urgent question. To find out what really happened to her coworker, Mattie may need to rock the boat. But a killer is just as determined to keep the truth from ever surfacing, even if that means making Mattie the next one to go under. For a list of more new hardcover titles to be published this month, visit our New Mysteries page for February 2017. For new paperback titles, visit The Mystery Bookshelf where a selection of February 2017 mysteries, novels of suspense, and thrillers are shelved. They want revenge. They need each other. Detective Bobbie Gentry has one objective: to stop the serial killer who robbed her of her husband, her child and her life. Nick Shade understands Bobbie's pain — and her desire for vengeance. He's on a mission of his own, and the murderer known as the Storyteller is next on his list. Nick knows that the best way to find his target is to stick close to Bobbie. But as she becomes more and more reckless in her attempts to lure the Storyteller out of hiding, he has to make a choice. Will he protect her from herself even if it means passing up the chance to take out one more monster? As for Bobbie, she's forced to decide just how much she can trust this stranger who knows so much about her. And both of them are about to learn whether or not two broken people can save each other. Price: $2.99 (as of 02/28/2017 at 1:00 PM ET). See all six mysteries in the Max Tudor Series for $12.99 or less each on Kindle. What could be more dangerous than cozy village life in the English countryside? Max Tudor has adapted well to his post as vicar of St. Edwold's in the idyllic village of Nether Monkslip. The quiet village seems the perfect home for Max, who has fled a harrowing past as an MI5 agent. Now he has found a measure of peace among urban escapees and yoga practitioners, artists and crafters and New Agers. But this new-found serenity is quickly shattered when the highly vocal and unpopular president of the Women's Institute turns up dead at the Harvest Fayre. 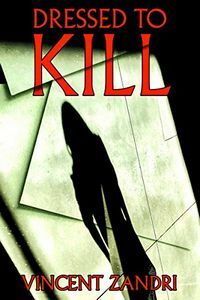 The death looks like an accident, but Max's training as a former agent kicks in, and before long he suspects foul play. Max has ministered to the community long enough to be familiar with the tangled alliances and animosities among the residents, but this tragedy surprises and confounds him. 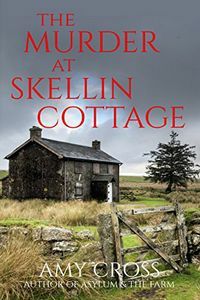 It is impossible to believe anyone in his lovely village capable of the crime, and yet given the victim, he must acknowledge that almost everyone had probably fantasized about killing Wanda Batton-Smythe. As the investigation unfolds, Max becomes more intricately involved. Memories he'd rather not revisit are stirred, evoking the demons from the past which led him to Nether Monkslip. eBook Price: $5.99 (as of 02/28/2017 at 12:30 PM ET). Things are a bit grim at Scotland Yard this Christmas. On the heels of a nasty corruption scandal, the CID must now contend with a killer who is murdering pregnant women, so as to steal their babies. 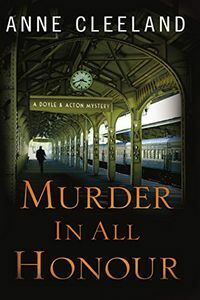 Chief Inspector Acton doesn't want Doyle anywhere near this case, of course, but she can't shake the feeling that there is more to his concern than his usual over-protectiveness — and more to this case than the usual psycho-killer. 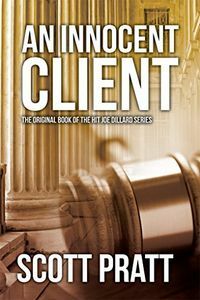 Criminal defense lawyer Joe Dillard has become jaded over the years as he's tried to balance his career against his conscience. Savvy but cynical, Dillard wants to quit doing criminal defense, but he can't resist the chance to represent someone who might actually be innocent. His drug-addicted sister has just been released from prison and his mother is succumbing to Alzheimer's, but Dillard's commitment to the case never wavers despite the personal troubles and professional demands that threaten to destroy him. Little is what it seems to be in a leafy Savannah neighborhood as members of an afternoon cocktail and dog walking club mourn a neighbor's death. Jealousies surface when friends vie for the widower running for mayor. An old woman with an infamous uncle plots to avenge a wrong. Memories haunt a once successful children's writer. And a model has won the trip of a lifetime. But a killer lurks and secrets unfold, as does a web of deceit. Is anyone really who he or she seems to be? A mysterious South American, a young Italian count, and a charitable nephew add suspicion and intrigue, as do an enigmatic organization linked to organized crime, a handsome firefighter, and three widows with hidden agendas. What's a retired accountant's secret, and why did a former showgirl really have plastic surgery? Price: $1.99 (as of 02/27/2017 at 8:00 PM ET). 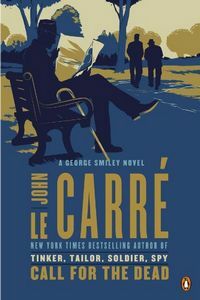 See all seven titles in the George Smiley Series for $12.99 or less each on Kindle. "Go back to Whitehall and look for more spies on your drawing boards." George Smiley is no one's idea of a spy — which is perhaps why he's such a natural. But Smiley apparently made a mistake. After a routine security interview, he concluded that the affable Samuel Fennan had nothing to hide. Why, then, did the man from the Foreign Office shoot himself in the head only hours later? Or did he? Price: 99¢ (as of 02/27/2017 at 7:00 PM ET). See all five mysteries in the Blossom Valley Series for $5.99 or less each on Kindle. Blossom Valley is abuzz with excitement over The Pampered Life, a brand new spa with a trendy menu of decadent services and employees who look like they jumped off the pages of a fashion magazine — and Dana Lewis is worried it could ruin business. eBook Price: $4.99 (as of 02/27/2017 at 6:30 PM ET). Elmore Kranz bombards the police with his predictions of disaster until one of them actually happens, to the point that he's implicated in the plot. Even with the assistance of his one ally, rookie cop Brittney Chase, people start dying around Elmore as attempts are made on his life. 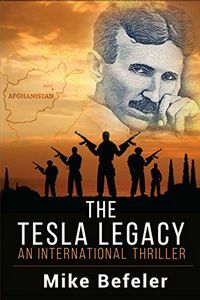 Following up on inventions from eccentric genius, Nikola Tesla, Elmore and Brittney team up to solve a hundred year old puzzle while trying to thwart a secret government agency and an Afghani terrorist group who seek to get their hands on a doomsday weapon.